Inclusion Body Disease (IBD) is highly contagious within the snake family, primarily found in Boa Constrictors and Pythons. It affect mainly the nervous system, but other organs as well. There are microscopic changes seen in the snake’s body cells (nervous system, liver, kidneys, blood) known as inclusion bodies, giving the name to the disease. Researchers suspect that IBD in snakes is caused by the retrovirus which causes AIDS in humans and Feline Immunodeficiency in cats. The disease is thought to be transmitted between snakes in several ways – by contact with diseased snakes, a mite specific to snakes or by a mother snake to her young. 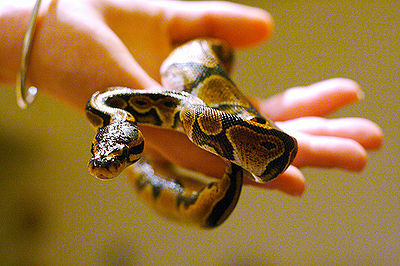 Humans handling snakes with IBD may transmit it to other snakes. 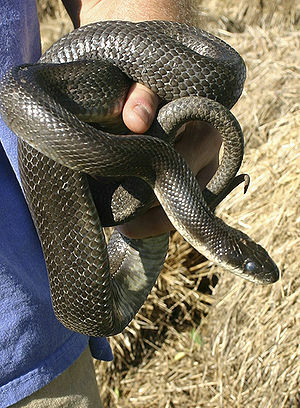 Some snakes are carriers and while they may not show any symptoms, they may infect other snakes. Symptoms of IBD include weakness, inability to constrict,weight loss, skin ulcers, head tilting, respiratory infections, mouth rot, abnormal shedding, in-coordination, paralysis. Diagnosis was difficult, but recently researchers at the University of Florida have found a new simple blood test to discover IBD. There is currently no treatment for IBD. The disease progresses until it becomes fatal. Euthanasia of the snake is generally recommended. To help prevent IBD, if you add a snake to your collection, quarantine it for 6 months. Keep the cage away from other snakes. Clear up any mite infestations in all the snakes. 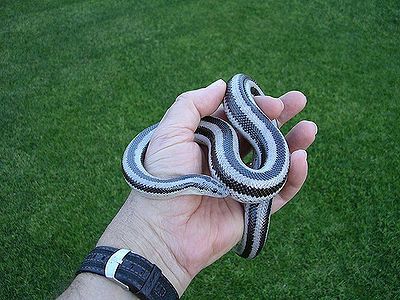 The new snake should be fed last and have it’s cage cleaned last so that you won’t be handling the other snakes. After caring for the snakes, wash your hands thoroughly with anti-bacterial soap to help avoid transmitting disease to other snakes.